During a recent OVI jury trial, the judge and I disagreed about the function of standardized field sobriety tests (SFSTs). During a sidebar, I argued the tests do not measure driving impairment; they predict blood alcohol concentration (BAC). The judge’s opinion was SFSTs measure impairment of driving ability. The judge’s opinion prevailed, despite being wrong, because the judge’s opinion always prevails in the judge’s courtroom (unless and until an appellate court says otherwise). This particular judge is intelligent, well-intentioned, and better educated on DUI/OVI issues than most judges and lawyers. If this judge misunderstands the purpose of SFSTs, it’s a topic worth addressing. Before the introduction of SFSTs, law enforcement officers used a variety of non-standardized tests to help them decide whether to arrest a person for drunk driving. 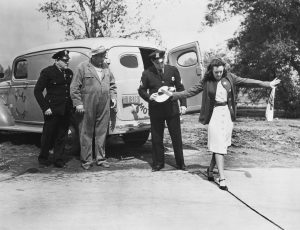 Beginning in 1975, the National Highway Traffic Safety Administration (NHTSA), sponsored research which resulted in the development of standardized field sobriety tests. That research also led to the NHTSA manual: “DWI Detection And Standardized Field Sobriety Testing”. Subsequent to the original publication of the manual, NHTSA conducted multiple validation studies. Those studies have evaluated the SFSTs in various environments and have examined multiple factors affecting the tests. The reports from the studies are clear: what’s being evaluated is the effectiveness of the SFSTs to predict BAC, not driving impairment. 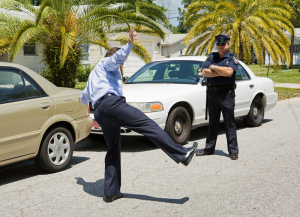 When Are Police Permitted To Give Field Sobriety Tests? Imagine you are driving home on a central Ohio freeway after a late dinner and you are pulled over by a police officer. The officer says you were stopped for failing to use your turn signal when you changed lanes. The officer announces he smells the odor of alcohol and asks if you have been drinking. You did have a glass of wine with dinner. The officer then asks you to get out of the car for some field sobriety tests to “make sure you’re okay to drive”. 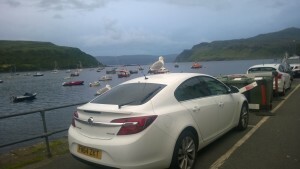 Under what circumstances is the officer justified in doing this? 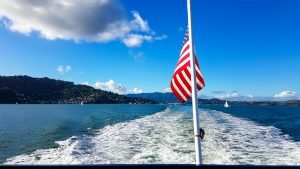 This entry is a follow-up to the last entry in this blog, which discussed the case of Rodriguez v. United States. Rodriguez involved a motorist stopped for a minor traffic violation and detained for a drug dog to arrive. The United States Supreme Court concluded the duration of the stop must not exceed the time necessary to address the traffic violation. The rule clarified in the Rodriguez case is this: any further detention is unlawful unless the officer has a reasonable suspicion the motorist is violating the law. 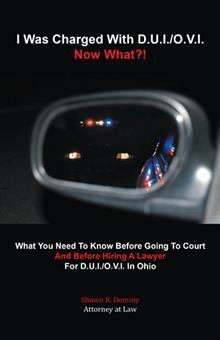 The rule clarified in Rodriguez is followed in Ohio DUI/OVI cases. If an officer stops a driver for a traffic violation, further detention of the driver for field sobriety testing is unlawful unless the officer has a reasonable suspicion the driver is under the influence. The issue often litigated is what constitutes a “reasonable suspicion”. Standardized field sobriety tests (SFSTs) are administered in nearly every DUI/OVI case in Columbus and central Ohio. 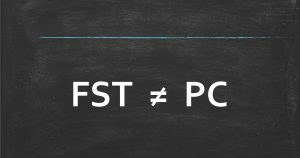 A previous post in this blog analyzed the standard for admitting the tests as evidence in court: the SFSTS must be administered in substantial compliance with the officers’ training manual for the tests to be admissible. A recent case in an Ohio appellate court applied that standard and concluded the tests were not admissible in Middleburg Heights v. Gettings. In the Gettings case, a trooper stopped the defendant for weaving and observed the “usual trilogy” of signs that the defendant was under the influence: the odor of alcohol, slurred speech, and bloodshot/glassy eyes. The trooper administered a ‘condensed’ horizontal gaze nystagmus (follow the pen with your eyes) test, then had Gettings get out of the car. The trooper then administered all three standardized field sobriety tests, despite the defendant’s knee problems. The trooper arrested the defendant, and the defendant blew over the high-test limit on a breath test. In court, the defendant filed a motion to suppress the field sobriety tests and also argued that the trooper did not have justification to arrest him. The judge overruled both motions. The appellate court saw things differently. By filing the motion, the defendant put the burden on the prosecution to prove the field sobriety tests were administered in substantial compliance with the SFST manual issued by the National Highway Traffic Safety Administration (NHTSA). At the hearing on the defendant’s motion, the prosecutor did not elicit any testimony from the trooper regarding the trooper’s training in SFSTs, did not introduce the NHTSA manual as evidence, and did not even ask the trooper any details about how the tests were administered. The prosecutor simply asked the trooper if the tests were performed in compliance with the NHTSA manual, and the trooper said they were. Justin’s buddy was arrested for O.V.I. (D.U.I.) and called Justin to pick him up at the police station. Being a good friend, Justin drove to the police station. When he arrived, Justin was greeted by an officer who noticed that Justin had glazed eyes, slurred speech, and an odor of alcohol. The officer had Justin get out of the car, and the officer administered field sobriety tests. The officer arrested Justin and charged him with O.V.I. Justin later appealed his O.V.I. conviction, claiming the officer did not have justification to administer field sobriety tests. The court of appeals decided Justin’s case in September of 2011 (State v. Trimble). The court reviewed the law regarding this part of the O.V.I. arrest process, which essentially says that, to administer field sobriety tests, an officer must have a reasonable, articulable suspicion that the suspect is under the influence. The court then evaluated Justin’s situation using a list of factors from the 1998 case State v. Evans and concluded that the officer was justified in administering field sobriety tests to Justin due to the time of day, Justin’s glazed eyes, the odor of alcohol, and Justin’s slurred speech. Justin’s conviction was upheld. 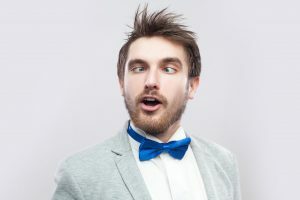 Justin learned the hard way that it doesn’t take much evidence to justify the administration of field sobriety tests. What he probably didn’t know, which most people don’t, is that he could have refused to perform the field sobriety tests. At least Justin is a good friend: a friend picks you up from jail, but a good friend is in jail with you.